The Viking Hotel offers a wide variety of fine amenities and activities. Take a leisurely swim in the indoor heated sweet-water swimming pool, salt-water swimming pools, and sunbathe on the private beach. Activities include tennis, game room, wellness center, and kid's club. The elegant spa offers excellent treatments and therapies. Additional amenities include three fine restaurants, four bars, Internet access, tours, shops, car rental, conference rooms, and an 18-hole golf course. 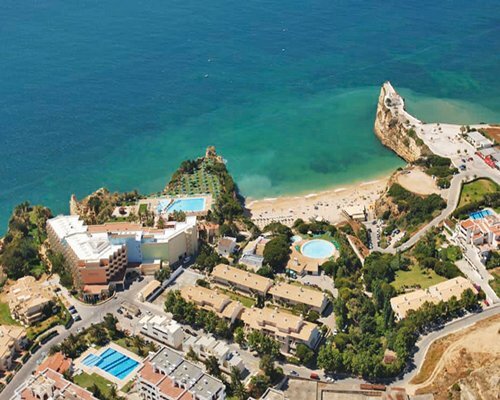 This location is perfect for wedding celebrations and honeymoons. 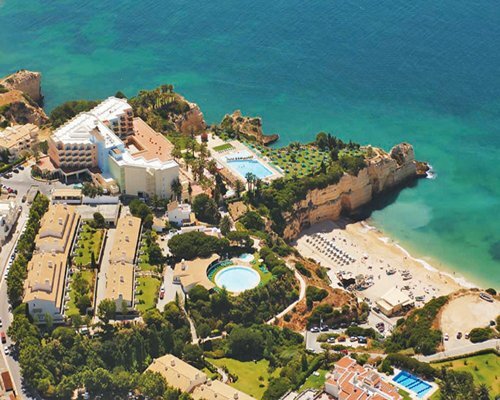 The graceful Pestana Viking Hotel features an abundance of fine services in all hotel (studio) rooms, one- bedroom, and two-bedroom apartment-style suites. 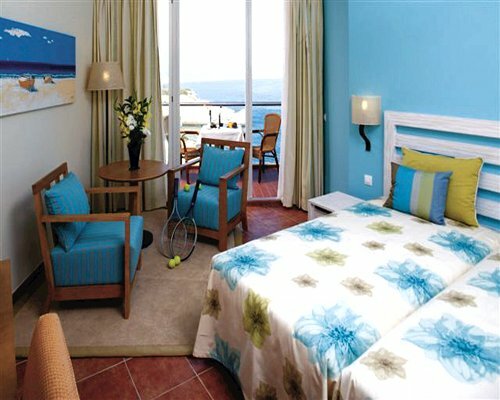 The Vacation Club units at Pestana Viking are equipped with air conditioning, satellite TV, full bathroom, panoramic views, hair dryer, laundry service, safety box, and telephone. 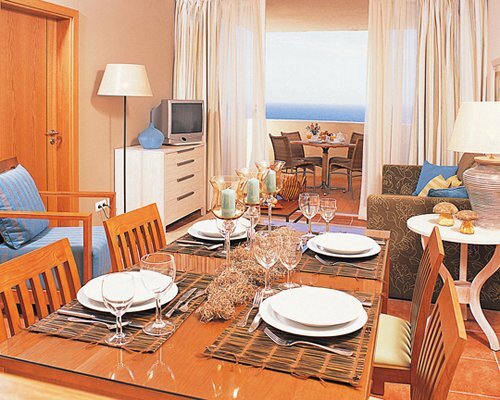 The apartment-style suites come with separate bedrooms, sitting area, and sea or garden view. All of the sumptuous rooms make the perfect escape during your Portuguese vacation. 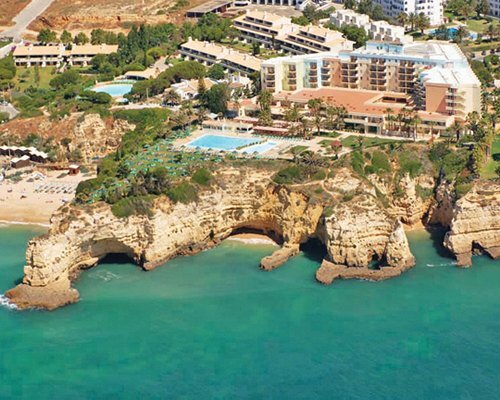 Pestana Viking Hotel is located in the Algarve, the southernmost region of Portugal. Rich culture, delicious foods, and fantastic entertainment surround this beautiful tourist area. 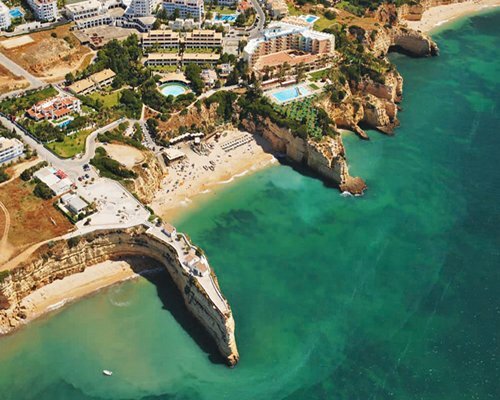 Beautiful beaches, towns, and scenery draw crowds from around the world. 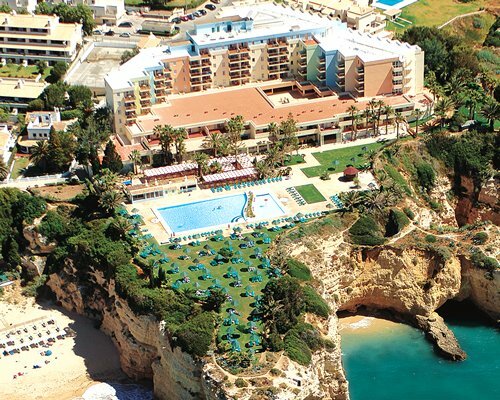 Senhora da Rocha is the nearest town, close to the Atlantic Ocean. Enjoy horseback riding, shopping, and exploring the gorgeous countryside. Don't forget to take home some of the area's famous pottery and ceramics as well!